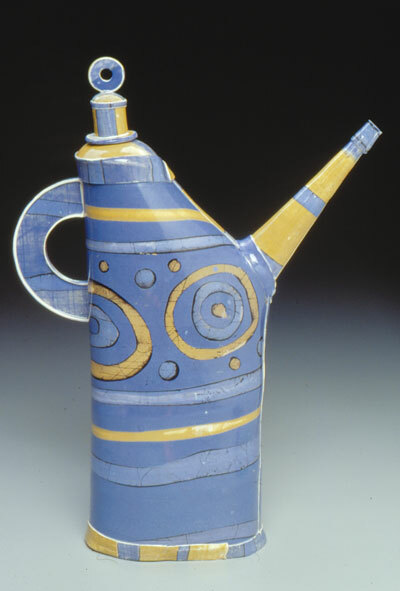 The colorful surfaces of Barbara Chadwick-Bland’s porcelain objects are created with ceramic pigments, slip and a unique mono-print technique. 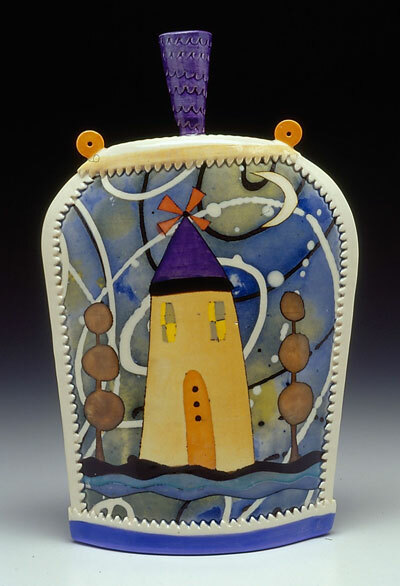 Her pieces are very labor intensive, with layers of depth incorporating complex patterns into cast and embellished slabs that become decorative one-of-a-kind teapots and vessels. 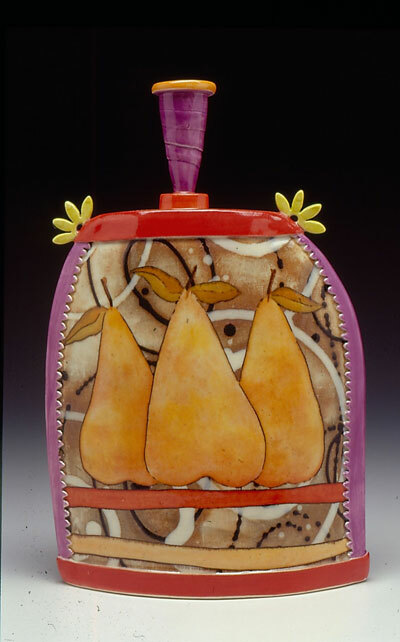 After the bisque firing, additional color and pattern is applied then clear glazed for a final high firing in an electric kiln. 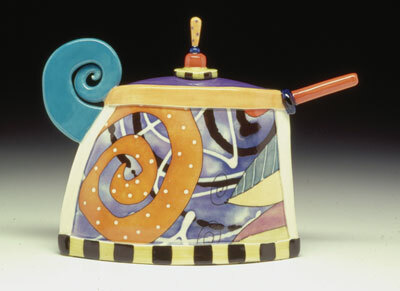 Teapots are a particular favorite for her because they give her the opportunity to exaggerate and amimate so many parts.